Shou sugi ban has enjoyed a surge in popularity as of late. This ancient Japanese technique has been rediscovered and re-invented to produce some beautiful results even though modern interpretations step away from the practical benefits of the technique’s original intent. 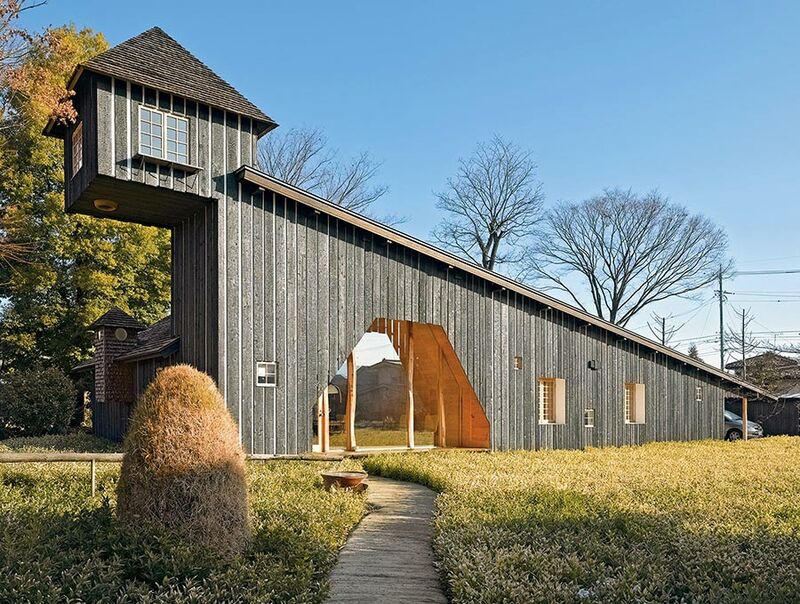 While it certainly produces a lovely aesthetic, shou sugi ban can have some concerns. I’m going to explore some of these complications and how they can be eliminated so you can get the great look of the shou sugi ban method without any adverse effects. Originating in 18th century Japan, shou sugi ban is a particularly striking method of preserving wood by charring it with fire. Traditionally, this practice is used with Japanese cedar in order to weatherproof it. The wood is burned until the surface is charred, and then coated with natural oil. The result is a scorched finish with a magnificent charcoal black color. The surface of the wood can take on a crackled or alligator skin look depending on the wood species and the burn intensity. Traditionalist utilize only Cryptomeria japonica or Japanese cedar because it can take the heat for a deep burn resulting in pest, rot and fire resistant as well as becoming a natural water repellent and sun shield. The interest in shou sugi ban, particularly in the West, has many trying out the method on a variety of wood species. Often though, a deep burn cannot be achieved on these other wood types and the charred top layer will erode leaving a less than desirable look while also taking with it the pest, fire and weatherproof properties. Shou sugi ban is known for resulting in a jet black color, but a less extreme method is often employed for aesthetic affect in places like America where the technique has recently spread. This more moderate form of shou sugi ban creates scorched wood without turning the wood completely black. Coupled with a stain, this moderate form can provide some colorful looks. Shou sugi ban is both artisanal and genuine, much like reclaimed wood. For a business or designer who desires these qualities, shou sugi ban is particularly appealing, as it can help to communicate authenticity. The charring produces a rawness and a realness of character. The shou sugi ban process involves charring the wood, cooling it, cleaning by brushing and washing then finishing the wood with oil. Some burn each wood plank using a blow torch but the traditional method requires bundling three planks at a time into triangular tubes and lighting the interior. With the traditional method, different looks are achieved not by varying the burn process but through various brushing methods. Kilns are now used for large scale production. If traditional methods and wood species are not utilized there can be issues with finish longevity and wood stability. The actual appearance of wood treated with shou sugi ban is wonderful, but there are a few risks and complications involved with the process and the end product. First, there are practical complications. The wood surface can flake off and get onto floors, surfaces, and clothes, and this can create a mess if left unchecked both during installation and once the space is occupied. These charred bits might get tracked throughout a building or even breathed in by the people in a space with shou sugi ban. It’s also worth mentioning again that traditionalists say that shou sugi ban isn’t a method that can be applied to any type of wood. Japanese cedar, the wood of choice for shou sugi ban, reacts to heat in a unique way that other woods don’t. Thus, if you are going after shou sugi ban’s protective benefits, there are few species other than Japanese cedar that can deliver. While shou sugi ban can technically be used on any wood, the effect isn’t the same, making it difficult to achieve a stunning, lasting look. Modernized shou sugi ban also loses its verve as time goes on, creating a patina that may or may not be desirable depending on the needs of a particular space. This impermanence means that a building that uses shou sugi ban will have to refinish or replace some of the wood from time to time to maintain its original vivacity. Herein lies the problem––architects and designers want the beauty of shou sugi ban without the risks and impracticality it brings along. TerraMai’s new line, Faux Sugi Ban is a mess-free and accessible solution to achieve shou sugi ban style in commercial spaces. Unlike actual shou sugi ban, no fire is used to create Faux Sugi Ban; instead, we utilize a finishing process along with the reclaimed wood’s natural patina and texture to create a burnt appearance. The end aesthetic result is the Gendai look or burned and brushed once. Faux Sugi Ban has advantages over its traditional counterpart. The faux charred surface won’t flake off, so it won’t fall onto flooring or rub off onto clothing. It also won’t require the maintenance and eventual replacement that shou sugi ban wood would needs once it’s surface has flaked off or it’s lost its liveliness. The finish used preserves the wood’s natural brilliance and enhances its durability. Moreover, appropriate finishes are used for interior and exterior applications to ensure top performance in all situations. Thanks to the detail considered when manufacturing Faux Sugi Ban, even the most discerning A&Ds may not realize its not the real thing. Many industry experts actually think that it is real shou sugi ban at first, and that’s exactly what we were aiming for; a gorgeous product that honors authentic shou sugi ban while preventing any health or practicality issues. In fact, we specifically focused on human well-being with this product. 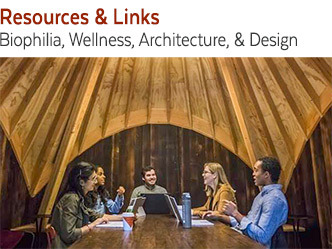 Human wellness is a key component of the built environment, and so the building materials used need to be beneficial to the occupants of the space. We believe everyone should have access to the beauty of shou sugi ban without the downside, and it’s this vision that spurred the creation of Faux Sugi Ban. Shou sugi ban is undoubtedly one of the most beautiful artisanal wood treatment methods, but its consequences can make it undesirable. Thankfully, our Faux Sugi Ban faithfully recreates the eye-catching look of shou sugi ban, using low-VOC materials to provide a wellness-focused product. It’s our homage to a timeless Japanese technique that’s deserving of so much attention from the A&D industry.